Like/Follow our Bikesdirect Facebook page for more deals. These are NOT typos. Get Incredible Deals on limited stock. Deals may never be better. Even More Amazing deals on items NOT normally seen on our site. Incredible deals like: Fatbike Wheels, 29er Wheels, Professional Bike Lights and More! 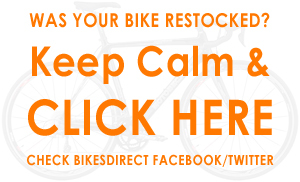 We've sent out many alerts on new and restocked bikes on our Bikesdirect Facebook page and Bikesdirect Twitter feed. 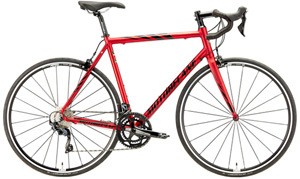 Many hot new bikes you were waiting for have restocked, more than this page can contain. Don't miss out. Grab Your Bike before someone else does. Exclusive Facebook deals! Get on the Bikesdirect Facebook page. 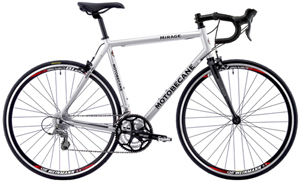 Got questions Need Help finding a bike? We're happy to help. Send emails to bd4salesteam@aol.com They'll get back to you by the next business day.